It follows from the preliminary decision released by the Venice Commission of the Council of Europe on Friday that the Ukrainian law on Lustration contains some serious flaws. The decision, specifically, states that the Venice Commission believes the provisions of the law containing the list of positions subject to lustration should be revised, saying that lustration should only apply to those positions that could pose considerable danger to human rights and democracy. The document also calls for a revision of the lustration criteria, saying that guilt should be proven in each specific case and cannot be considered as proven based on an official's affiliation with a specific category of public establishment alone. The Venice Commission also believes the body in charge of lustration should be a specially established independent commission, not the Justice Ministry. The document says that people's right to a fair trial (including the right to a lawyer, equal rights of the parties, and the right to be heard in court) should be observed, administrative decisions on lustration should be postponed during the trial until the final sentence is handed out, and the law on lustration should contain some provisions dealing with these guarantees. The document says that information on people who are subject to lustration should only be published after a final court ruling is issued. 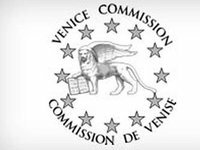 At the same time, the Venice Commission hails the Ukrainian authorities' readiness to make amendments to the law in accordance with the Ukrainian Constitution and European standards. The commission's experts are expected to arrive in Ukraine in early 2015 to discuss the law on lustration. The Venice Commission is a consultative body on constitutional law issues in the Council of Europe.